Hi, my name is Rebecca King and I live in a village on the Warwickshire / Worcestershire border between Evesham and Stratford-upon-Avon. I’ve lived in the area for just over 3 years now, having moved up from Surrey in 2015 to experience a slightly quieter pace of life in a beautiful location! Mission accomplished, as I’m very happy in the village where I live and love exploring the wider surrounding area where I’m meeting new people all the time who are so friendly and welcoming. I have spent the last 20 years working as a Sales & Marketing professional in the automotive and agricultural industries where I gained an awful lot of business skills, but I wanted a more rewarding career that would offer me daily variety and bring about many new challenges, not to mention developing my training and coaching skills. 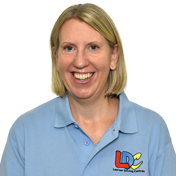 I therefore decided to become a Driving Instructor with LDC who have a great reputation for training quality and professional instructors, delivering an exciting but structured learning programme through the LD System – all of which can be tailored to the individuals own learning pace. Ultimately I get a real sense of satisfaction in watching someone learn and develop new skills. What can be more rewarding than seeing someone gain confidence and grow in to a safe and skilled driver, ready for today’s busy roads?